In the future, the design field will require new approaches and new design skills! The aim of this seminar is to strengthen these skills, and to challenge artistically the role of design in society. The well-designed consumer product is no longer central; rather it is the complex interaction of design interventions in the consumer society that guarantees sustainable development (Sustainable Design). 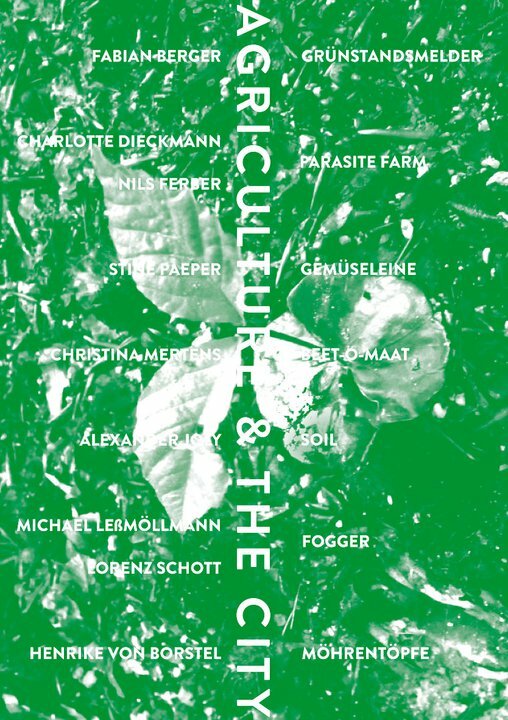 The presentation of the final theses in the subject of design at the University of Fine Arts Hamburg under Dr. Harald Gründl shows more than just pithy activism for public space, but rather concrete design strategies for the ways that city residents can gain access to such things as agriculture and nature. Agriculture in the urban context subsumes the cultivation or processing of food in city spaces, including the cultivation of crops with and without soil, aquaculture or even animal husbandry. Urban agriculture has experienced a remarkable upswing in recent years, in conjunction with discussions about local food production and ecology. One relevant aspect is the elimination of alienation from the production conditions that satisfy the basic needs of everyday life. The approaches and projects presented in the catalog and the exhibition are multifaceted: Highly efficient production strategies for interior spaces, a product-service system for crops in the office context, hanging gardens for Hamburg HafenCity, a composting solution for private kitchens, the poetic formulation of a planting container, Web 2.0 services for optimizing in-home planting or a portal for finding “accomplices” and land for agricultural use.